Deep in the heart of the Kimberley, Mt Elizabeth Station is what the Kimberley is all about. 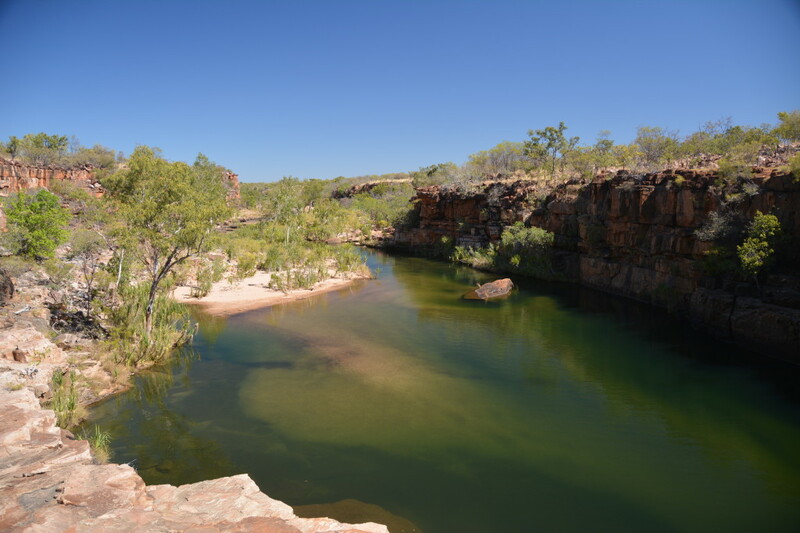 Conveniently located near several gorges and other watercourses, the 200,000 hectare property provides a complete Kimberley experience including Aboriginal Art, History, Fishing, Camping, Swimming and adventure. 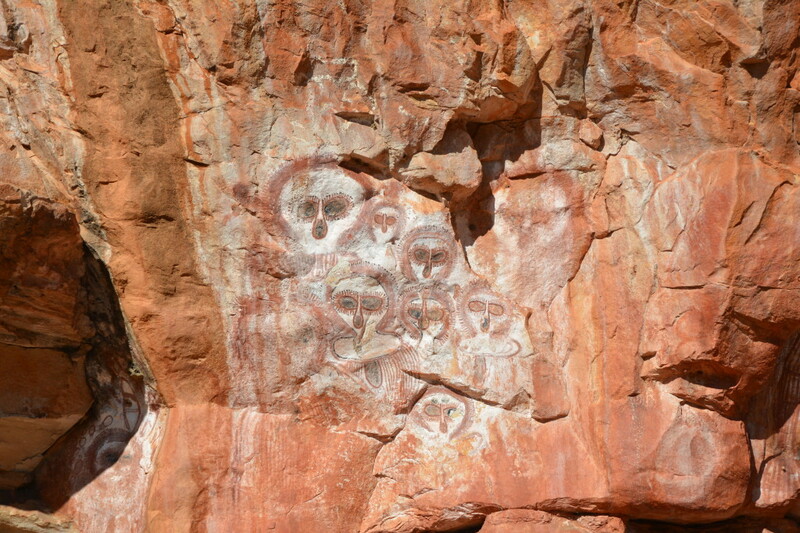 One of our favorite attractions is Wunnumurra Gorge which requires a 10km drive followed by a 1.5km walk in. This drive is fairly extreme so expect an hour of bumping over rocks and using low gear. We grounded the Pathfinder a couple of times on this track. 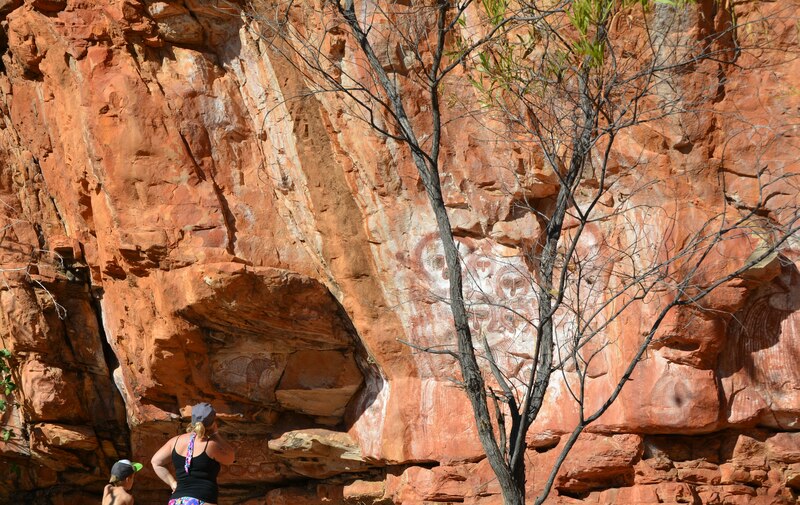 The gorge itself is very beautiful, featuring a waterfall and detailed Indigenous artwork including wandjinas. The walk into the gorge is pretty easy going and requires the use of a ladder to get to the bottom. Great swimming spot and often you will have the gorge to yourselves like we did. There is also the Hann River Gorge, which is a short drive and easy 300m walk from the campground. The scenery there is not as spectacular, but you’ll find pools suitable for a relaxing dip. There is excellent opportunity to observe wildlife. A Kimberley Pioneer by the name of Frank Lacey took up the lease of the property in 1945. Since then, the Station has been run by the Lacey family who will great you on arrival at the Station. Their primary production over the years has been beef cattle. 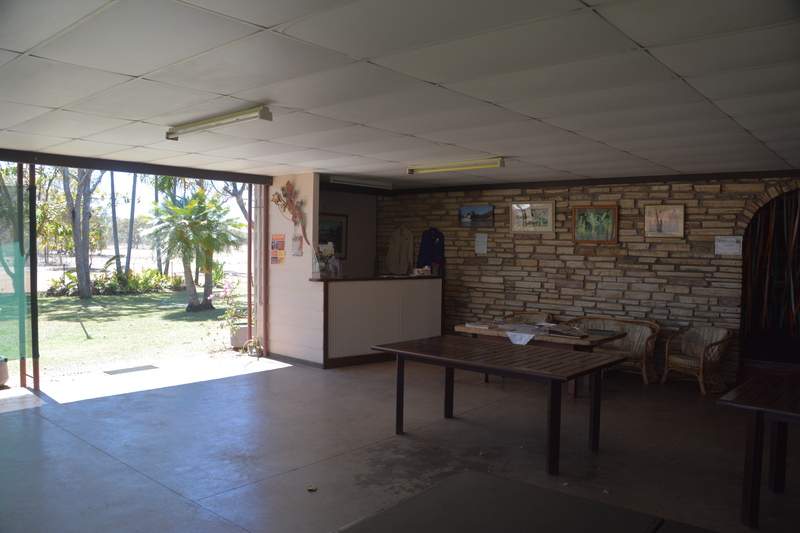 In recent years, they have expanded into the tourism industry, constructing basic visitor accommodation and setting out tourist attractions, including guided tours where you can find out just how the cattle station is run. The Munja track is a must do and takes you deep into the Kimberley. The turn-off for Mt Elizabeth Station is right in the middle of the Gibb River Road, 340km from Derby and 365km from Kununurra. After you turn off, it’s about 30km to the homestead. The road in is gravel and can be pretty ordinary during the peak dry season. It’s on par with the Gibb River Road conditions. As with all trips in the Kimberley, it’s difficult to get there. You have to travel the intimidating Gibb River Road which is a long, gravel, corrugated and unforgiving road. Sounds exciting right? Alternatively, Mt Elizabeth Station has its own private airstrip. 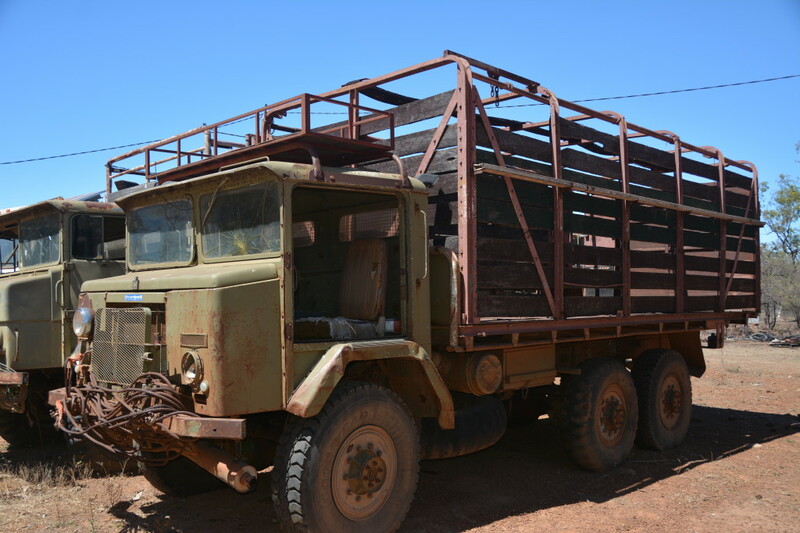 This option is expensive, but perhaps attractive for the adventurer without the experience or equipment necessary to travel the Gibb River Road. 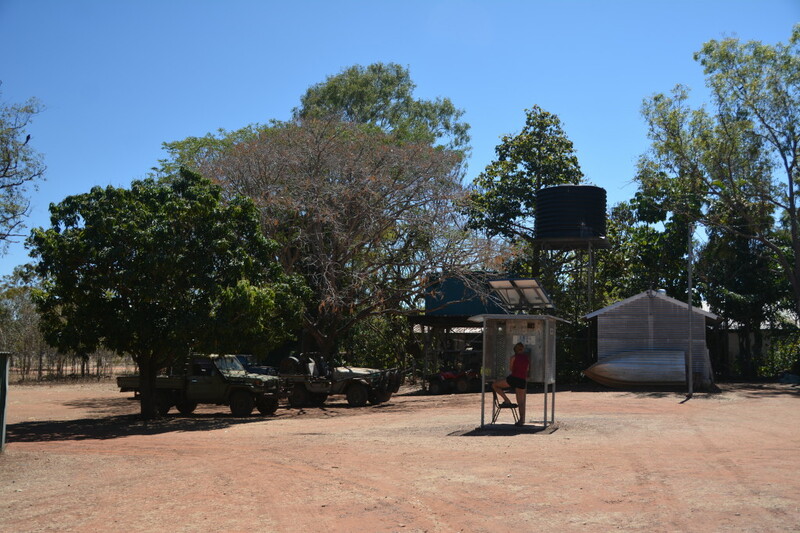 During the wet season, the Gibb River Road is closed, and the station is inaccessible. After the road is opened during the beginning of the dry season, try to get here as soon as possible so that the gorges and rivers are not yet dry. There are two options for staying at the station. First, the Homestead Complex offers twin share rooms and shared bathrooms, as well as dinner and breakfast included which is eaten in the communal area. Alternatively, there is also a campground at the station, which offers an amenities block and sensational views of the surrounding landscape. Bookings are not essential for the campground. However, if you want the same breakfast/dinner package as you would get in the Homestead, you have to book. There is plenty of wildlife right up against the campground including birds of prey, kangaroos and plenty of horses and cattle on the other side of the fence. 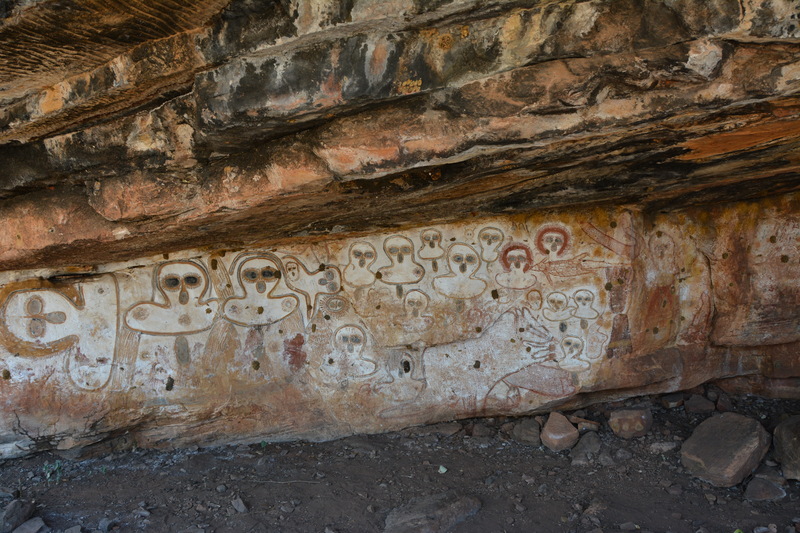 There is plenty of art and aboriginal history on Mt Elizabeth station if you know where to look. Be nice to Pat (Mrs Lacey) and she might point you in the direction of some good art sites. 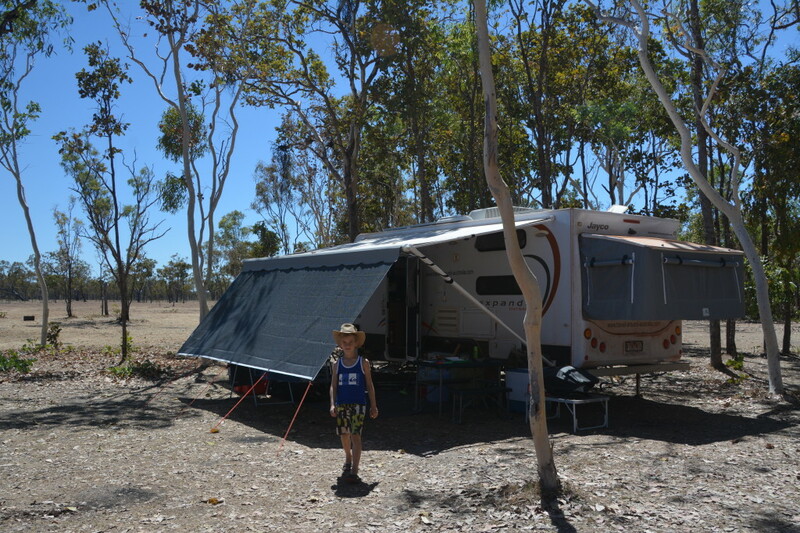 We used the campround as a base and left our Jayco Expanda there. We knew it would be in safe hands and travelled out along the Munja track for 4 days. The staff are fantastic and go out of their way to assist. Pat even came over and tried to sort the pump out on the shower shed when we couldn’t get any hot water coming through. We both gave up after 30 minutes of scratching our heads though. I did get to ride in her old Suzuki though! Not much we didn’t like. It’s a working cattle farm so don’t expect 5 star resort and service like Home Valley Station or El Questro. The kids loved being able to walk around the homestead and especially swimming at Wunnumurra Gorge. We spent a whole day swimming and exploring the area around the Gorge.